Saiga antelopes have been roaming Central Asia since the time of the woolly mammoth. 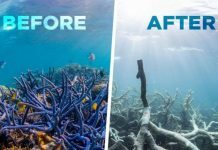 But now, “total extinction” may be on the horizon. 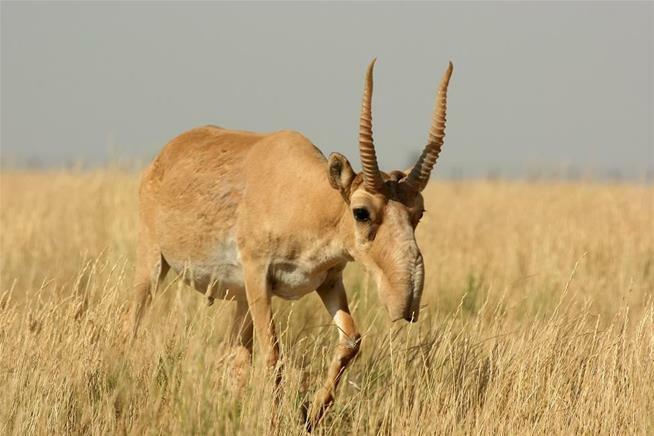 Scientists were dumbfounded to see nearly two-thirds of the global saiga population – about 200,000 antilopes – wiped out in a few weeks. Now scientists have found that the antilopes were killed by a MUTANT bacteria – usually harmless in the animals’ bodies -, which fatally altered during 10 days of high heat and humidity preceding the deaths. 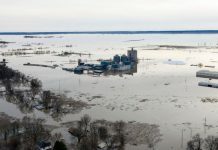 From there, the bacteria entered the bloodstream, causing a disease known as hemorrhagic septicemia, which is so toxic and so devastating that the animal doesn’t show a lot of pathology actually. Suddenly they’d start looking a little bit unhappy and stop feeding. Within about three hours they die. 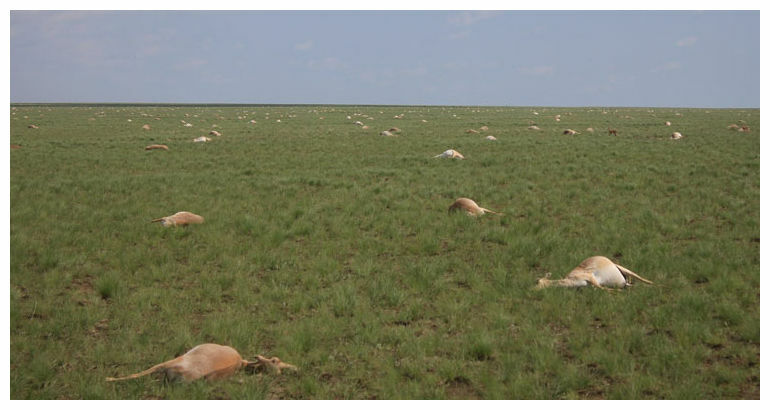 Only 30,000 saigas in Kazakhstan survived, likely because they were outside the area of high heat and humidity. But they might not be so lucky if such an event occurs again. And this apocalyptic scenario is very, very likely given that mass die-offs of saigas also occurred in 1981 and 1988. 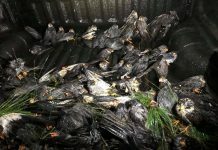 The most terrible is that little can be done to prevent die-offs linked to weather… It is verry hard to forecast and when we are sure it’s almost always too late! Yes the worst is that we cannot do anything to help!